We're going someplace warm. 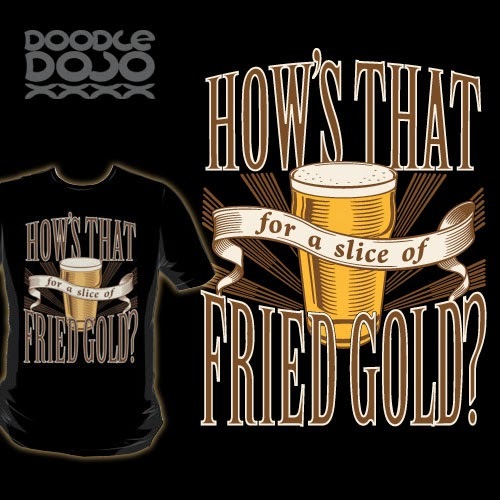 A place where the beer flows like wine. Where beautiful women instinctively flock like the salmon of Capistrano. I'm talking about a little place called Aspen! Harry and Lloyd, hitting the road in style. A tribute one of the funniest movies of all time, Dumb and Dumber. A nice cold refreshing pint. Just the thing for when you've been killing time with your family, trying to rescue your relationship and just generally saving the world from the undead. Simon Pegg and Edgar Wright's movie Shaun of the Dead made this phrase popular. 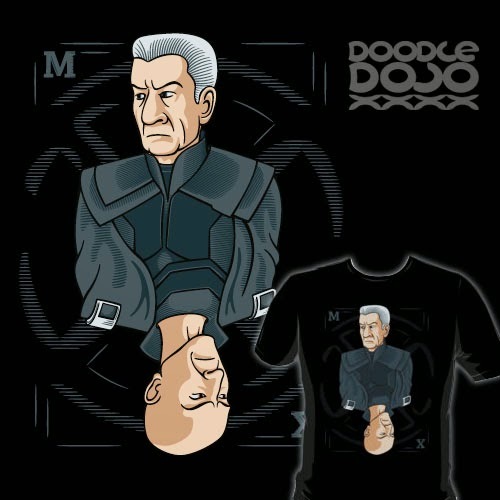 And because I use it so much, I thought I should put it on a t-shirt. Remember we're not using the Z-word! 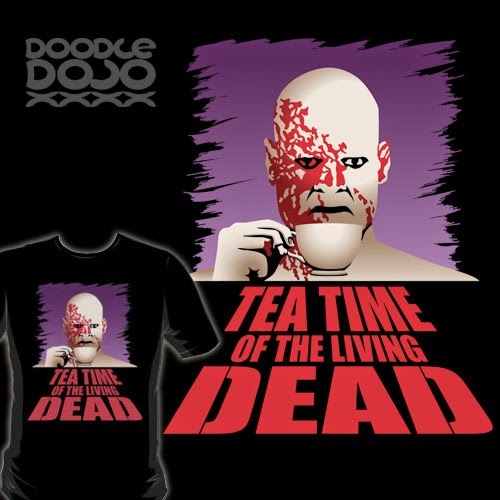 Just before dinner, probably on a Thursday afternoon, the dead will rise up for a nice hot cup of tea. And maybe a biscuit as well? Inspired by the imaginary (and terrifying) next instalment of George A. Romero's classic series of Zombie movies. 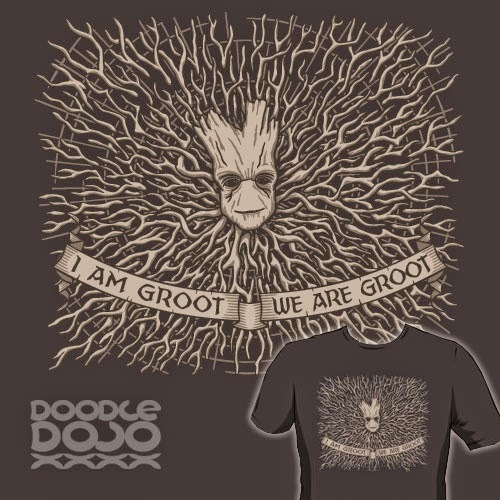 I think we were all Groot after that scene. 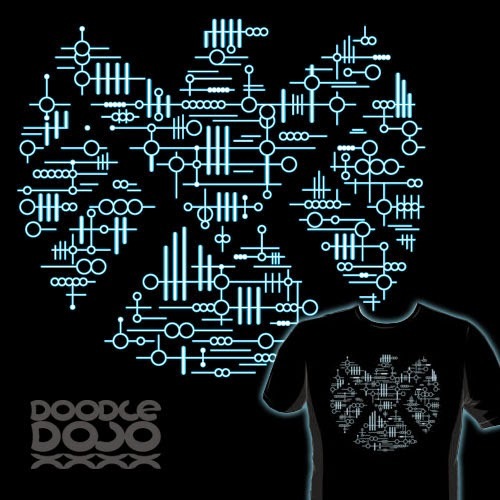 Guardians of the Galaxy is the best film of 2014 by far and this design was inspired by its biggest hero. Put yourself in a tree hugging mood! 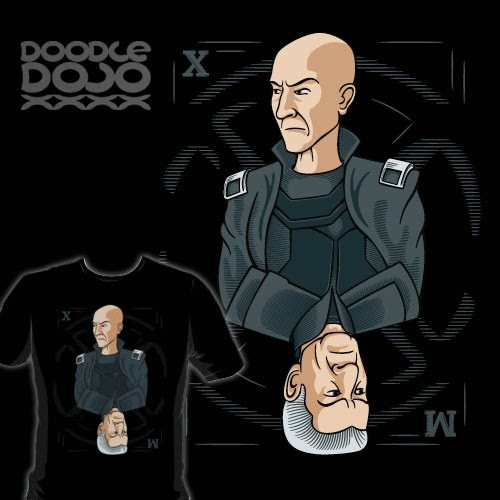 Also available at the Doodle Dojo Teepublic Store. 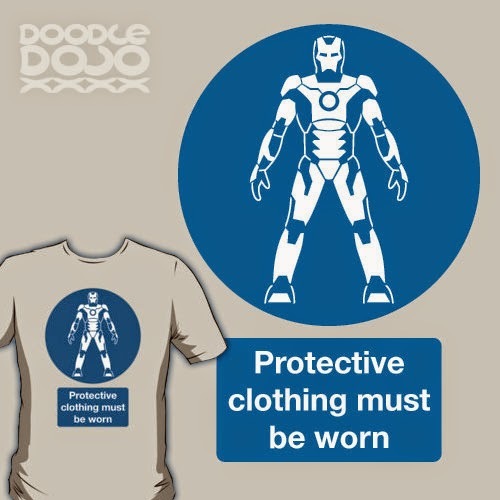 In a safety conscious world it pays to keep your protective clothing on at all times. And of course, only the very best suit will do. 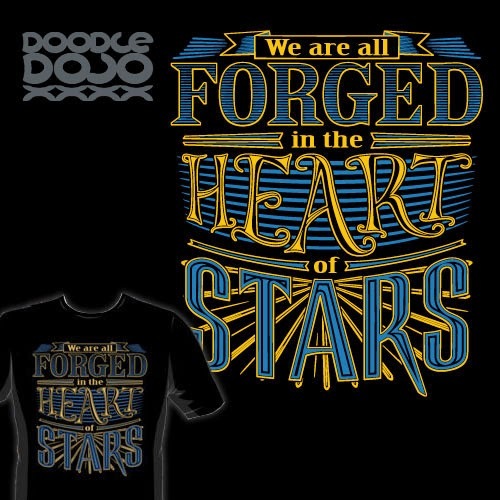 Inspired by Tony Stark's Iron Man Suit as seen in all those awesome Marvel movies. Some people are more precious to you than others. Don't forget to take the opportunity to let them know. 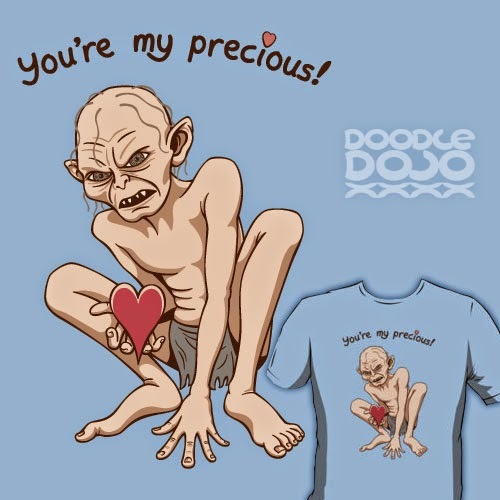 Gollum certainly wouldn't! The best Blacksmiths of all time. We repair anything from telescopes to trains. Timepieces a speciality. 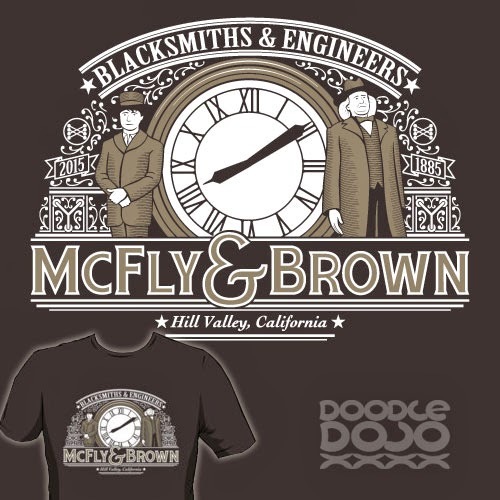 Inspired by one of my favourite sci-fi movies, Back to the Future. Some people just deserve a big old kiss, its the only way to show your true feelings. 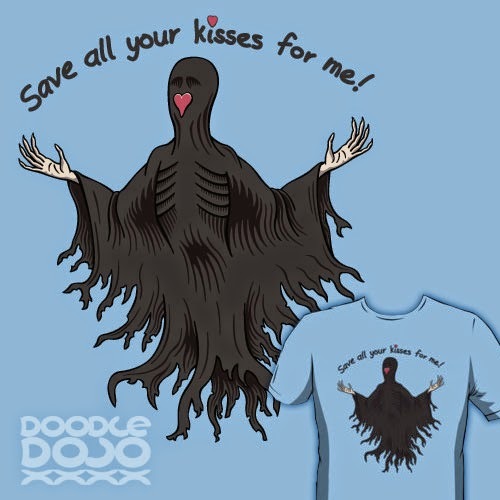 The Dementors of Azkaban may not be know for romance, but they are famous for the power of their kisses. Do you want to learn how to bullseye Womp Rats or navigate through the smallest tunnels? 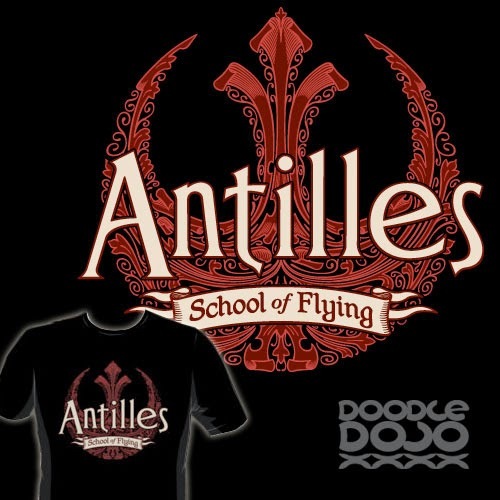 You’ll learn all this and more at the Wedges Antilles School of Flying. The third best pilot in the whole of the Star Wars saga could probably teach us all a thing or two about flying. 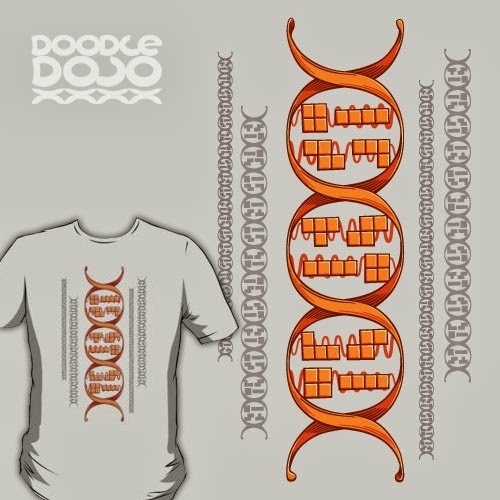 Also available for light coloured shirts and cases. There's no other choice for King of the Mutants. Is there? We wanna be free, to do what we wanna do! And we wanna get loaded and have a good time! Sometimes reunions can take unexpected turns. 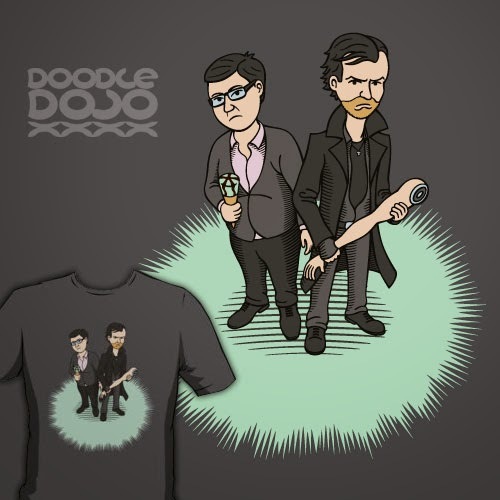 Inspired by part 3 of Simon Pegg's Three Flavours Cornetto trilogy, The World's End. One of my favourite ever science facts. All the atoms (except the hydrogen and helium) that make up you, me and everything else are created in the heart of stars. I don’t think there is anything more incredible than that. Is it a Quantity Surveyor? Is it a Church Warden? No! It’s BICYCLE REPAIR MAN! 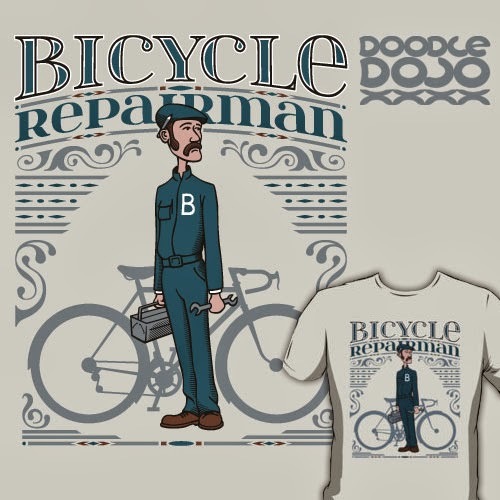 Inspired by the Monty Python Sketch, Bicycle Repair Man. 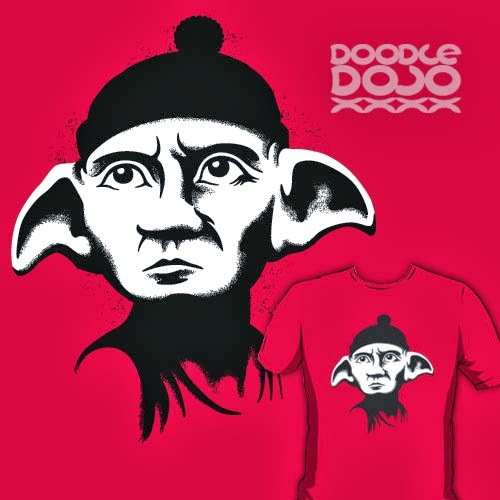 Inspired by Alberto Korda's iconic photograph Guerrillero Heroico and Harry Potter's good friend Dobby the House Elf. Cybermen just look so drab sometimes. Its time for an Andy Warhol style pop art makeover. Inspired by the classic Doctor Who villain. 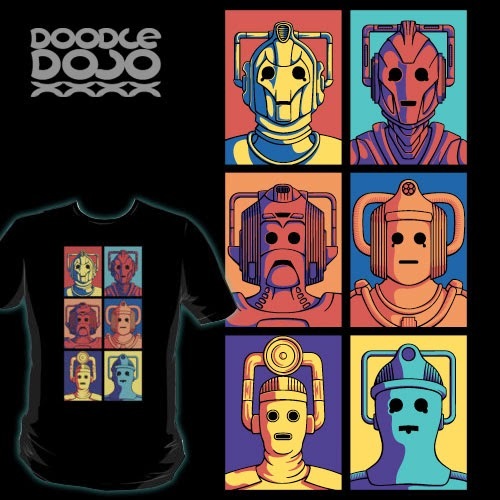 Showing the complete evolution of the cybermen, from 1966 right up to the present day. Its that special time of year, Valentines Day is coming! Sometimes you just need to send someone a special hug, to show how much you care. 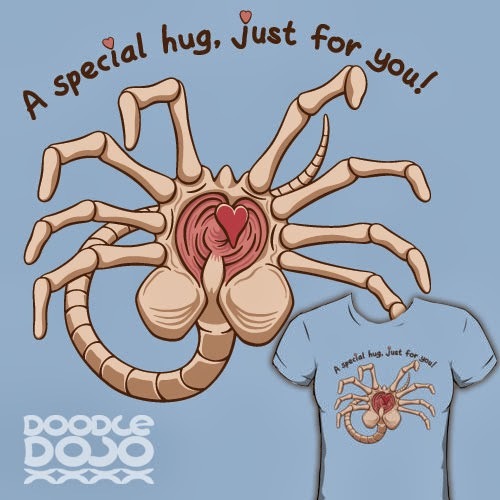 Inspired by the facehugger from the Alien movies, as first imagined by H.R, Giger. I knew him, Oswin; a fellow of infinite jest, of most excellent fancy; he hath borne me on his back a thousand times; and now, how abhorred in my imagination it is! 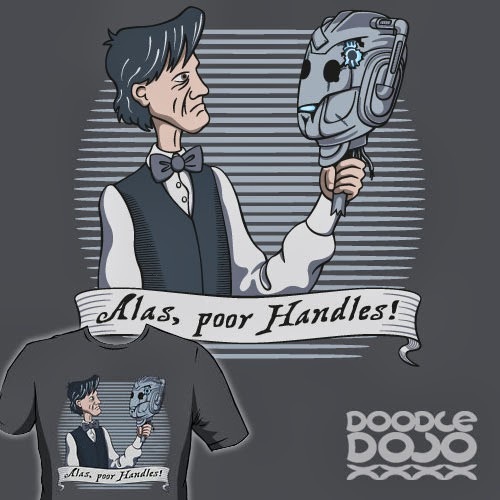 Handles was the eleventh Doctor's companion during his time on Trenzalore. I'm sure that if he had been a bit more shakespearean, he too would have performed a monologue about how much he missed him.